THE Government has dispatched a team of medical experts to assess the condition of first Republican president Kenneth Kaunda who has been admitted to hospital in Namibia. Ministry of Health Permanent Secretary Peter Mwaba said in an interview in Lusaka yesterday that the experts who left yesterday include director of mobile and emergency services Welani Chilengwe, University Teaching Hospital (UTH) senior superintendent Lackson Kasonka and Dr Kaunda’s long-time personal physician, Chifumbe Chintu. “We have been told that Dr Kaunda is fine but as Government we do not want to take chances, we have sent a team of experts to assess his condition and advise us on the way forward,” Dr Mwaba said. Earlier, Dr Kaunda’s chief of staff Godwin Mfula also confirmed that Dr Kaunda was in a stable condition. Mr Mfula said he yesterday spoke with the former president who said he was feeling better. 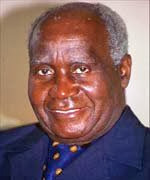 Dr Kaunda was admitted to hospital on Sunday during his vacation in that country.